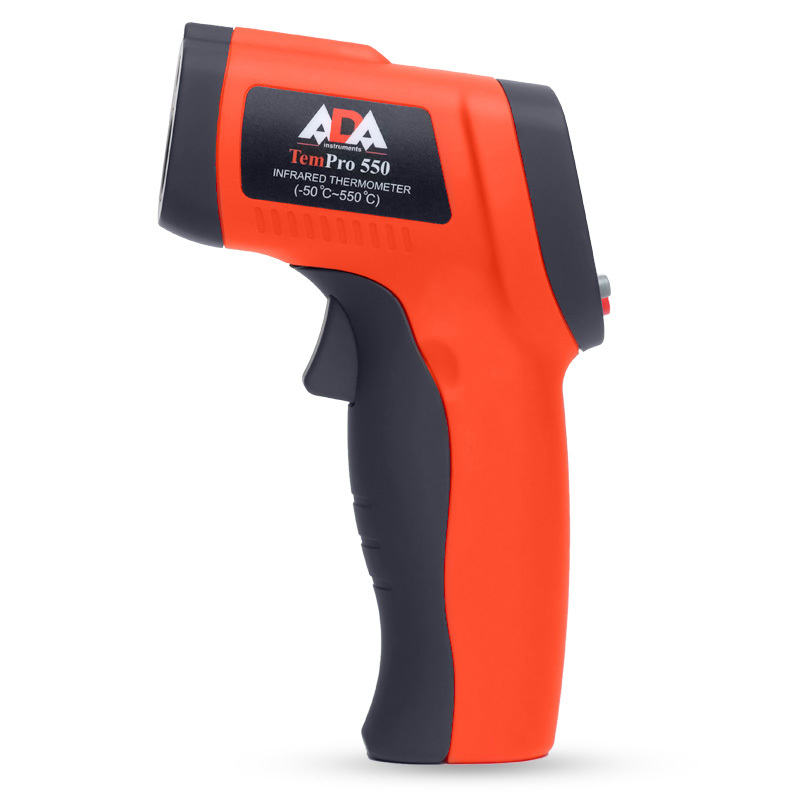 Pyrometers ADA TemPro — are the line of high quality pyrometers. 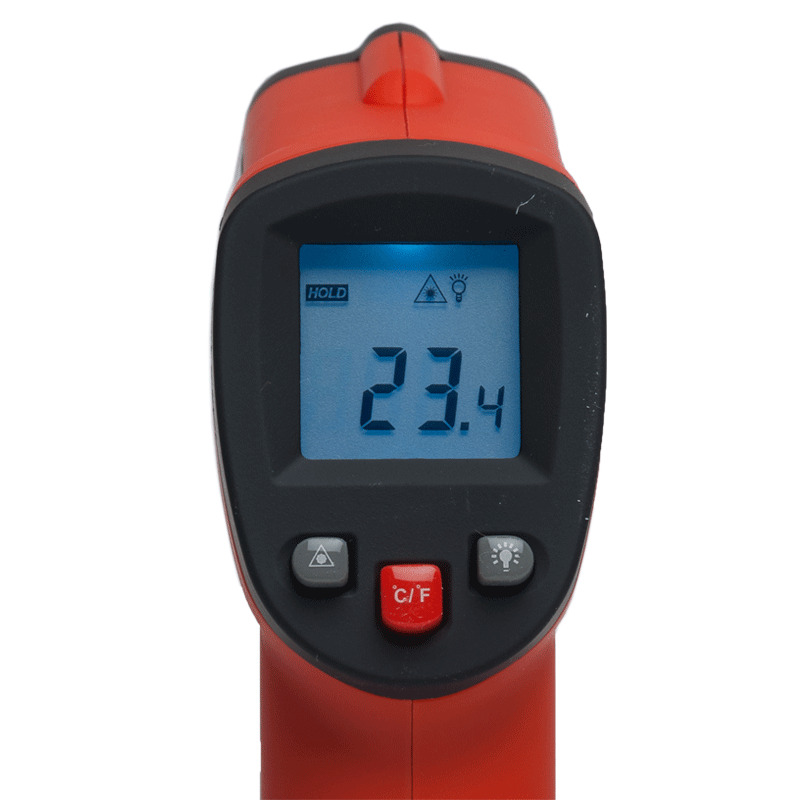 ADA TemPro 550 ensures contactless temperature measuring in the range from −50°C to +550°C with sensibility of ±1.5°C. 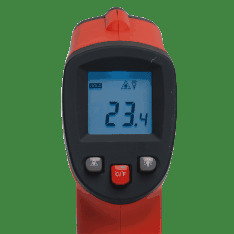 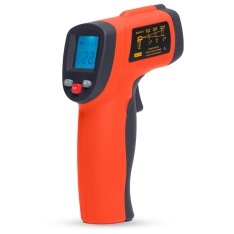 Infrared Thermometer ADA TemPro 550 has a sufficient optical resolution 12:1 for measuring over a distance. 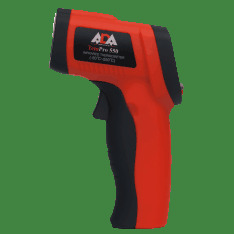 Properties of pyrometer ADA are optimal for carrying out of low temperature diagnostic measurements at housing services and utilities, power industry, for purposes of maintenance of motors and machinery, inspections of construction quality. 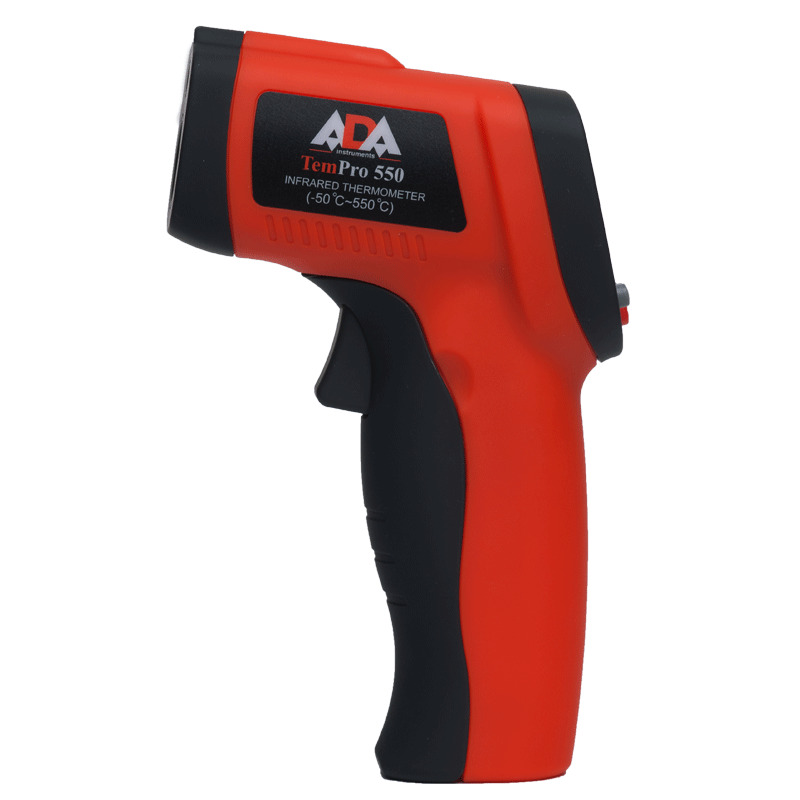 Infrared Thermometer ADA TemPro 550 is a compact infrared pyrometer of a gun-type. 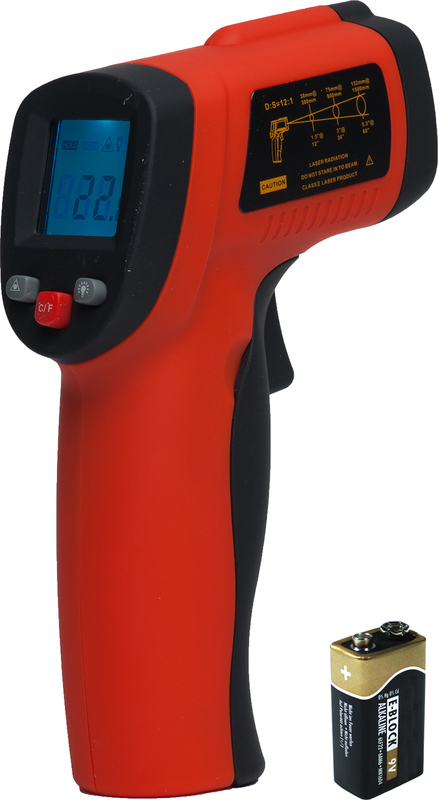 It provides highest possible comfort during application. Simple measuring is done by one «trigger» push. 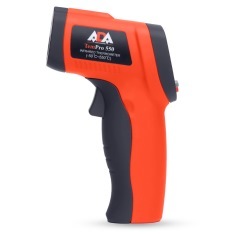 Laser target marker makes it possible to perform fast, accurate measurements, «to take unerring aim».